Awesome! I wonder when can you release a version for Mac. Hopefully! Good news! 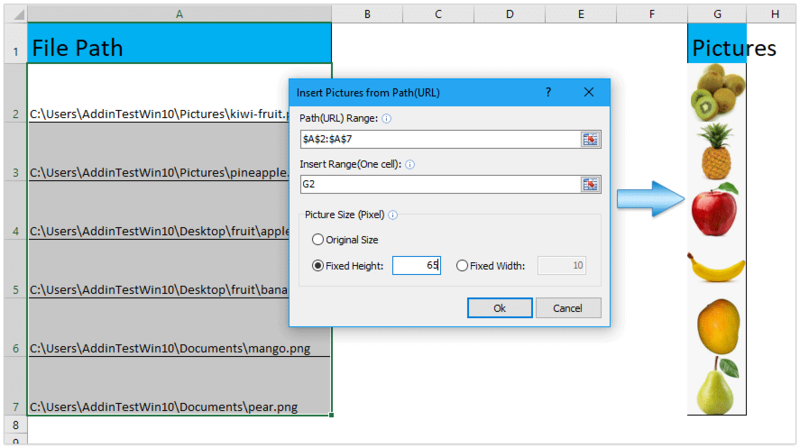 Kutools for Excel 19.00 is released with new handy features and excellent improvements! 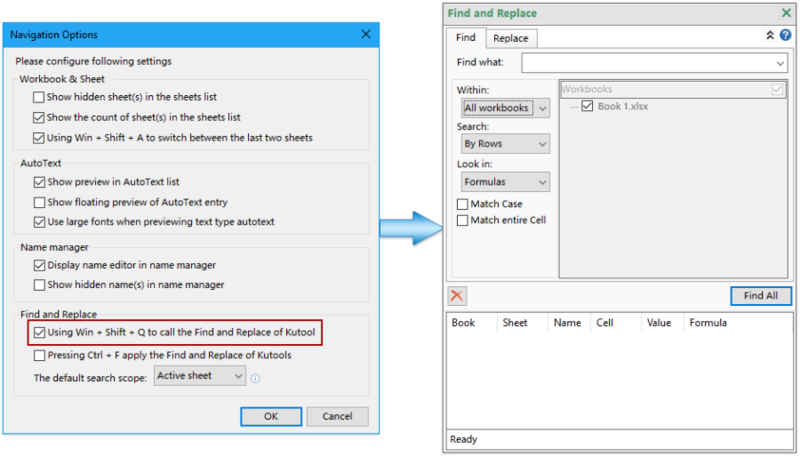 You can upgrade to or have a free trial of this version by downloading from Free download Kutools for Excel - handy Excel add-ins collection . 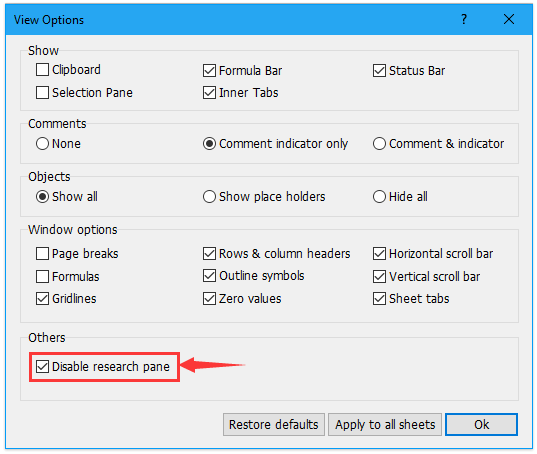 This utility can help you remove all data validation restrictions from the selected ranges with only one click. 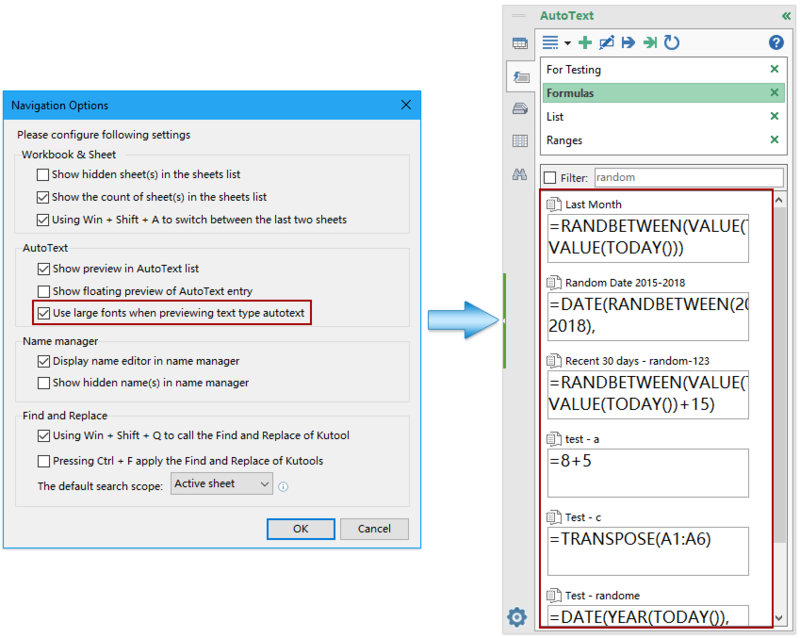 (1) Support to filter AutoText entries by entry names in AutoText Pane. 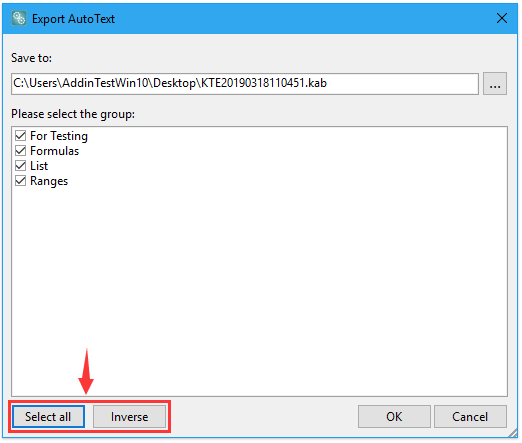 (3) Add the Select All button to select all AutoText entry groups simultaneously, and the Inverse button to inverse selections at the same time when exporting AutoText entries. (5) Press Win + Shift + A keys simultaneously to switch between the current sheet and the last opening one. 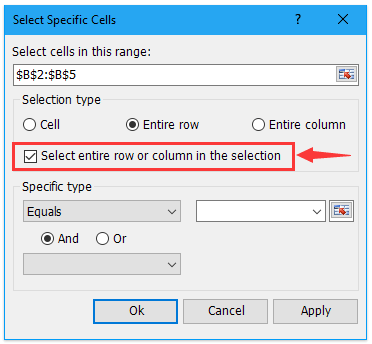 Support to select an entire row or column only in the selection. The Replace Range Names feature has been renamed as Convert Name to Reference Range, and it’s improved to convert all same names which are working in different scopes to their reference ranges. Add a mask to cover the encrypted cells. Add more filter criterions for this feature. 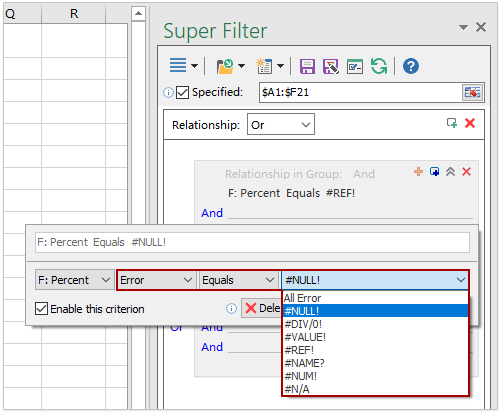 (1) Support to filter cells by error types, such as #NULL!, #REF!, etc. 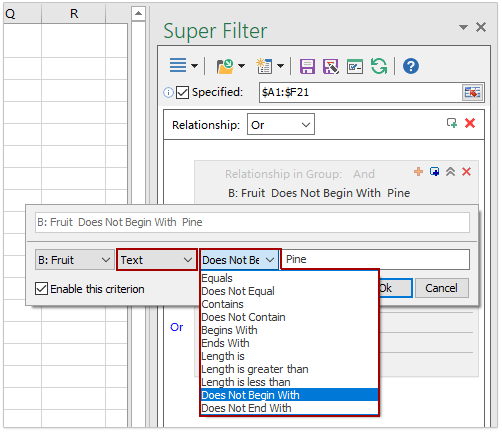 (2) Support to filter cells that don’t begin with or end with a special character or text string. Support to sort all sheets, including the hidden ones. 1. Fixed: Some screen tips are incorrect. 2. Fixed: The Snap feature does not work with OneDrive. 3. 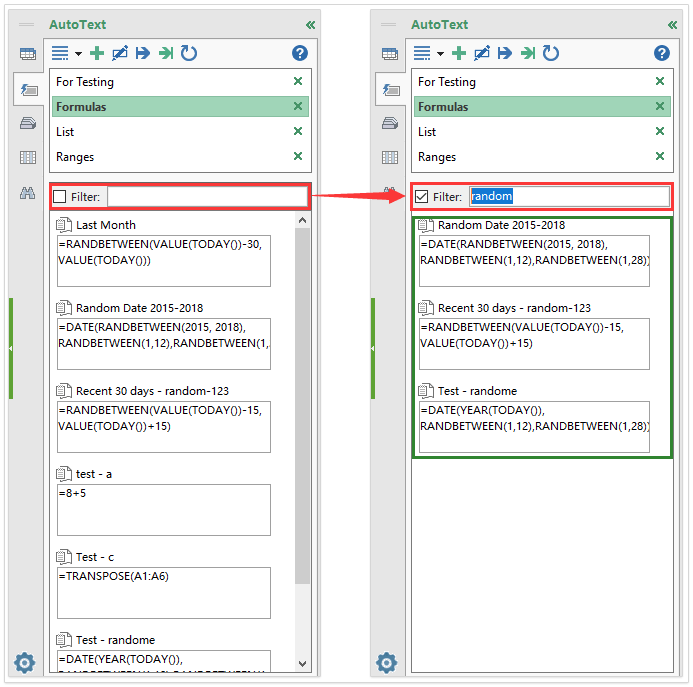 Fixed: The Formula Helper feature cannot return to the current selection correctly or go front automatically when selecting ranges from other workbooks. 4. Fixed: Some windows display incorrectly when zooming within the high definition screen. Last edit: 4 weeks 21 hours ago by Jay Chivo.